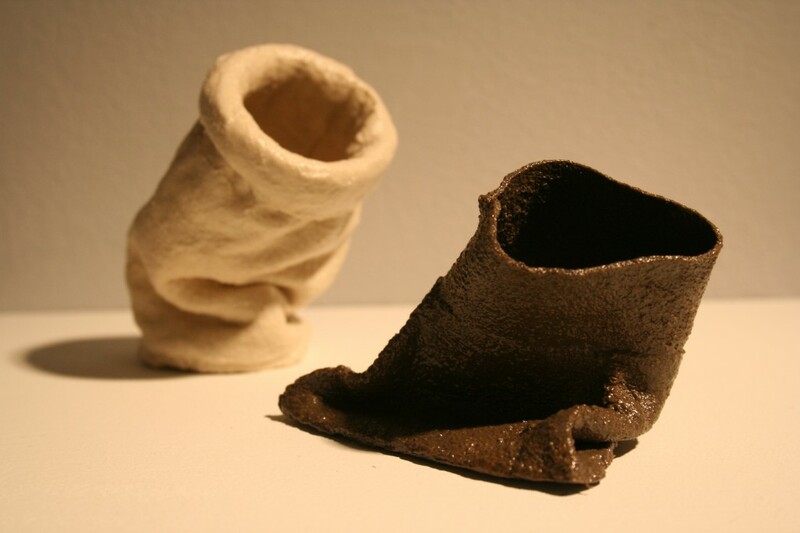 My small-scale ceramic artwork is created from hand-sewn fabric vessels that have been immersed in a liquefied clay bath and then fired. Burning away the original form leaves only a ceramic shell, the preserved traces of what it once was. Through the firing process, I am forced to accept the nature of the materials and their potential to bend, fall, and sometimes collapse in on themselves. I am humbled by these alterations that are out of my control. 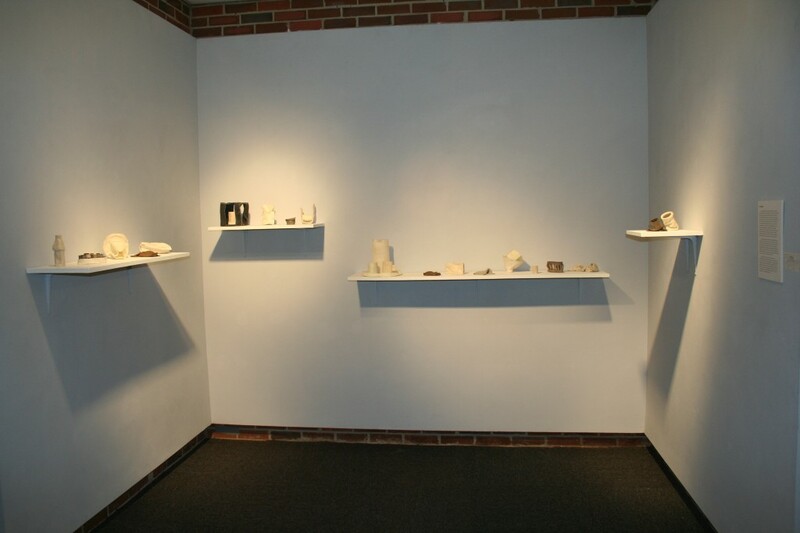 The final fired pieces act as relics of their previous existences. I think about the issues of presence and absence, how the shape is preserved but none of the original form.I attempt success through multiple interventions but the magic of the process is ultimately expressed during the firing. I accept the will of the materials and bear witness as control is impregnated and ultimately released. My ideas embrace the temporary and vulnerable aspects of the materials as I address the concept of containment by layering materials to access ideas of place, memory, and the physicality of an object’s potential. I confront traditional ceramic approaches regarding the idea of containment and challenge its predilections towards functionality and utility. I stand up to ideas associated with success and failure within my ceramic practice and urge the viewer to find beauty in the faulty and the embarrassing. Felt Forms is informed by the history and necessity of producing vessels in order to protect contents, and meets up with my own personal need to express myself and to consecrate things and attribute value to them. I seek to evoke awareness with the relationship we have with objects, particularly as a maker of them. I attempt to understand the space objects occupy and why they are of importance, particularly questioning whether or not the materiality of an object affects its value.